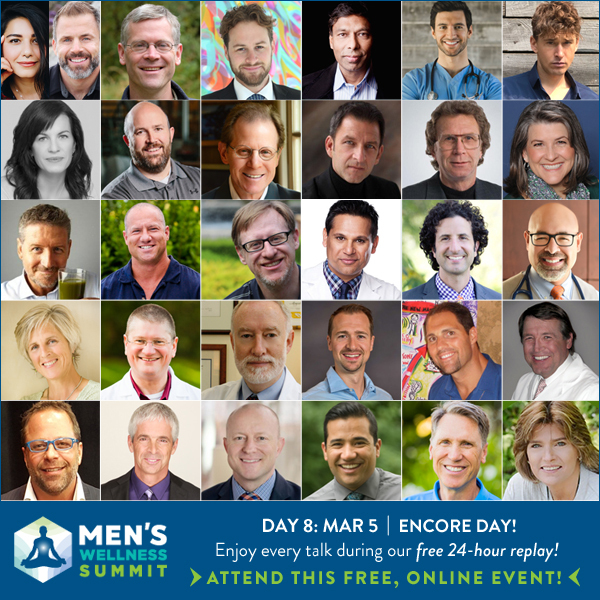 [Men’s Wellness Summit] Day 8: It’s Encore Day at The Men’s Wellness Summit! It’s Encore Day at The Men’s Wellness Summit! Missed some of the life-changing expert talks this past week? They’re all unlocked for free today! Help more men with do-it-yourself, practical ways to improve energy, lose weight, boost brain power, maximize athletic and sexual performance, live longer, have long-lasting relationships and feel better than ever before! It’s Encore Day at The #MensWellness Summit! All expert talks available for free TODAY ONLY! Attention Sisters! Your own special guys will love this! There is still time!